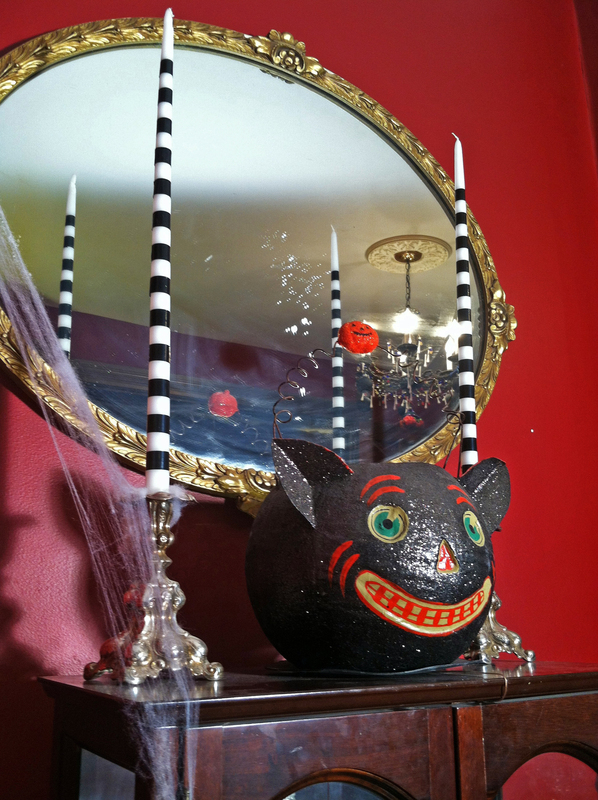 Beetlejuice-esque DIY Halloween Striped Candlesticks…with Electrical Tape! So Easy it’s Scary. Fun striped candle sticks! Very “Nightmare-Before-Christmas”/”Beetlejuice” looking. This was crazy-easy. Black electrical tape. That’s it. 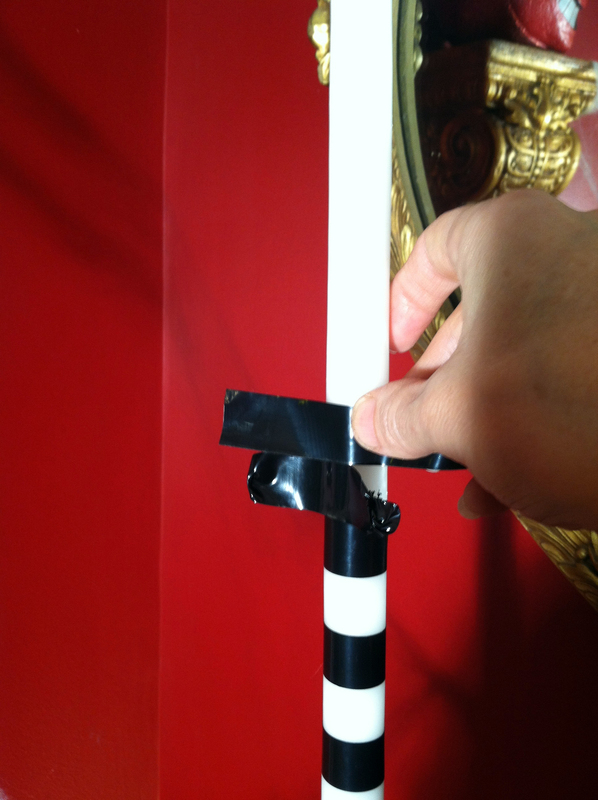 Use another piece of tape as a spacer, and just wrap the tape around so it overlaps a tad. The tape is shiny and looks great, and so cheap to do it’s ridiculous. Like, pennies. These are 24″ white tapers, but you could do this on pretty much any candle. This would be fun on orange or red candles too.. This entry was posted in decorating, DIY, Halloween, home and tagged Beetlejuice, Beetlejuice candles, candle sticks, diy candles, diy candlesticks, diy striped candles, electrical tape, gothic halloween, Halloween, halloween candles, halloween candlesticks, halloween tapers, Nightmare Before Christmas candles, striped candles, striped candlesticks, victorian halloween. Bookmark the permalink. 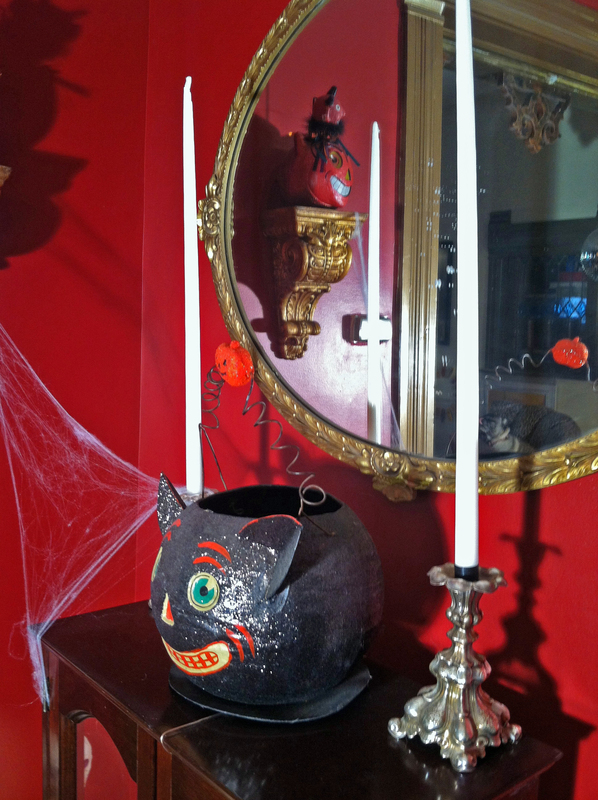 ← Charming Victorian Gothic Halloween Garland DIY – Plus FREE PDF Template!